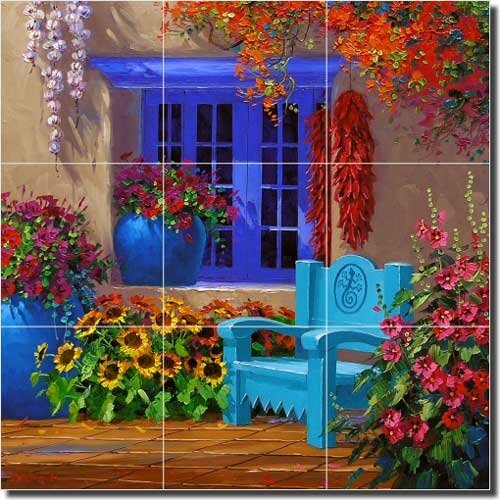 This beautiful southwest courtyard ceramic tile mural will create a stunning focal point in any room of your home! Each of our murals are individually handcrafted and made to order. Any commercially available adhesive for ceramic tile can be used. An un-sanded grout is required. Tiles can be cleaned with any household non-abrasive cleaner and a soft cloth or sponge.